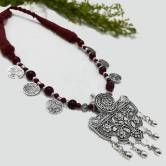 Let your jewelry pieces become the talk of the town with this pretty Necklace. It is Handcrafted antique vintage style design. 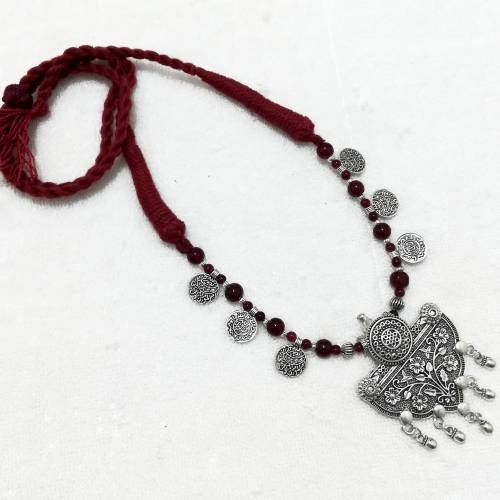 Brass has been used in the making of this stunning Necklace, which has been given a oxidized silver plating for an authentic vintage look and feel.